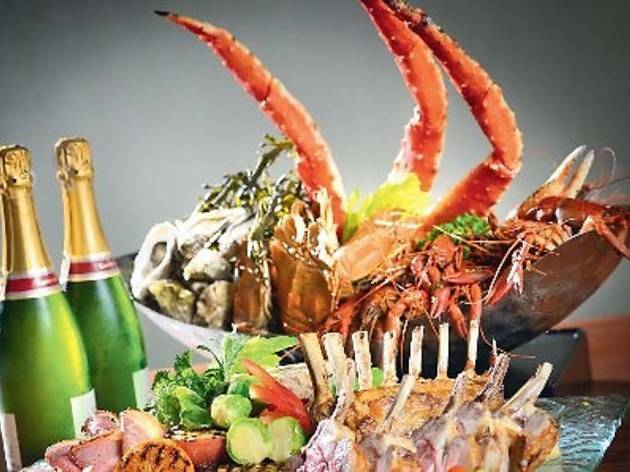 Bid 2013 adieu with Serena Brasserie’s free flow of sparkling wines and good food such as caviar, fresh seafood on ice, foie gras, Wagyu beef and roast lamb. Early diners (6–8pm) can enjoy the buffet at RM138++ while dinner from 8.30pm till midnight is priced at RM178++. 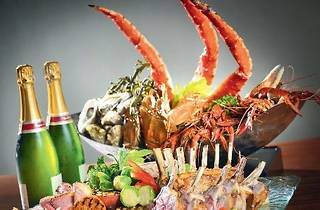 Don’t let the party stop – continue the celebration on New Year’s Day with a high tea brunch comprising the best of Western and Asian cuisine such as oysters, sushi, sashimi, roast lamb and paella. Dec 31, New Year’s Eve, adults RM138++, 6–8pm, RM238++ with free flow of champagne, sparkling wines and draft beer, children RM70++, RM178++ (8.30pm–12midnight), RM278++ with free flow of sparkling wines and draft beer; Jan 1, hi-tea brunch, adults RM88++, children RM48++.